I meant to have this post ready to go earlier today–but if you follow me on the social networks, you’ll probably have seen that we had a windstorm in Seattle earlier this week, and I was without power for a couple of days. THAT SAID: neither wind nor rain will stand in the way of boosting a signal for long! Particularly if a fellow Carina author is involved. 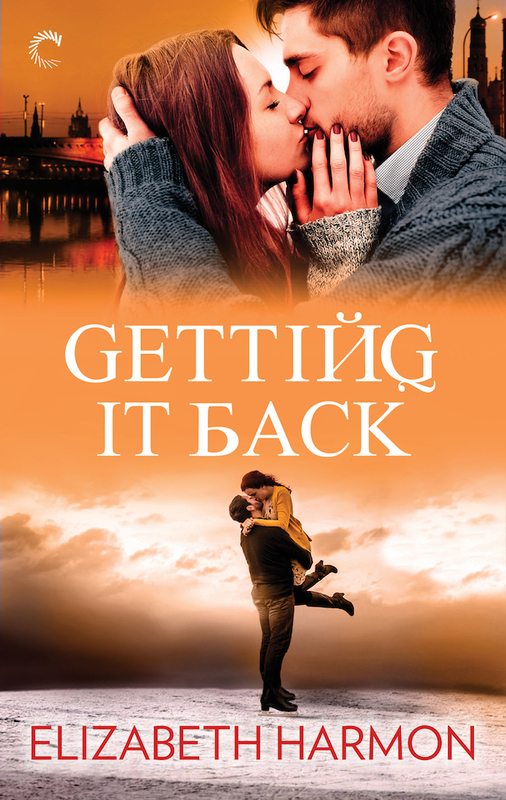 I had Elizabeth Harmon on the blog earlier this year, and she’s back now for an early look at her next Carina release, the contemporary romance Getting It Back. This is book three in her Red Hot Russians series, and she’d like you all to meet her hero Misha, who has very firm ideas about what he wants to do in the world of figure skating! Pre-order links for the book are below! Imagine sacrificing everything to achieve your dream…and falling short. Since leaving competitive figure skating, Mikhail “Misha” Zaikov, the hero of Getting It Back, my upcoming contemporary romance, and the third book in the Carina Press Red Hot Russians series, has been haunted by what might have been. Once Russia’s top male figure skater, Misha was the favorite to win gold at the Lake Placid Winter Games. But an unlucky fall cost him victory. Though he hoped for another chance…a devastating injury brought a too-early end to his skating career. He’s tried to turn his back on figure skating, but Misha is unmoored and drifting—until he decides to return to competitive ice. Misha is sure a successful comeback will help him get back everything he’s lost—fame, fortune, and the love he’d thought was gone forever. But if the stakes are high, the risks are higher. Another injury could prove catastrophic, and he needs the help of Amy Shepherd, a young American athletic trainer, who is the only woman he’s ever loved. Amy wants to help Misha reach his dream…but is just as determined not to risk her heart. Read on, as Misha shares a little of his story. For as long as I can remember, I’ve been a figure skater. That might sound like exaggeration, I know. How can a little kid be a skater? But in Western Siberia where I grew up, skating was as natural as running or jumping. I started, wearing my cousin’s old hockey skates. But when I was five, I got brand new black figure skates for New Year. From then on, there was never doubt of what I would be. A skater, just like my papa. You see, my father was Ilya Zaikov, one of the best men’s singles figure skaters in Russia, if not the world, in early 1980s. He competed in many championships and would have skated at Sarajevo in 1984, but was injured and forced to retire. His life after skating didn’t go as planned. Ilya hoped to coach in Moscow or St. Petersburg, working with our country’s best skaters. Instead, he was sent to work as skating instructor in the poor, coal-mining town where I was born. His life was filled with hardship and disappointment, but there was nothing I loved more than watching him skate. When he gave me his old medal from Soviet National Championship, and said that one day I would win one too, I swore to make him proud. But the years after Soviet Union fell were hard for many in Russia, and my family was no exception. Both my parents lost their jobs, and when Ilya could no longer afford medicine to relieve pain in his knees, he turned to vodka. Out of work, he put everything he had into coaching me. When I was twelve, I competed for first time in Russian National Championships. It was exciting to come to Moscow and when I placed fifth, I was very happy. Unfortuantely, my father wasn’t. Drunk, he confronted some of the judges in the hotel bar. It was humiliating, and the best day of my life became the worst. One fortunate thing did come of it, though. My performance attracted interest from great coach, Yuri Bogdanov. When Bogdanov invited me to train with him in St. Petersburg, I left everything else behind, including my father. For the next ten years, skating was what I lived, ate, and breathed. At seventeen, I skated in Winter Games in Oslo and four years later, was favored to take gold in Lake Placid Games. I took bronze instead. Most people see that as an accomplishment to feel proud of. But considering everything I sacrificed, it’s never felt like enough. Even so, skating was my sport, my identity, my life. And then one day, it was gone. I tried other jobs…I was coach for a time in Chicago, but it didn’t last. I was short order cook for an even shorter time. That didn’t last either, thanks to beautiful and fearless woman I like to call Tiger. Amy Shepherd was my athletic trainer, and she is the one person who makes me question whether going back to the ice is really what will make me happy. But just as Amy uses ice to soothe aches and pains after training, for me, the ice is the only thing that seems to soothe the ache deep inside. I know that I’m becoming my father in a way I never wanted to be—a broken man, tormented by what he lost. I don’t want that to be the end of my story. That’s why I’ve decided to return to competition. Amy fears I’ll be injured again. With two fused discs in my spine, another injury would be very bad. Catastrophic, some doctors say. Others in the skating world say at twenty-seven, I’m too old, and can no longer master the quadruple jumps I’ll need to compete against up and coming teenagers. Do you know what I say? You see, I am skater. It’s what defines me. It’s what I’ve sacrificed everything for. Would winning gold make those sacrifices seem worth it? Between you and me, I don’t know. All I know is that I have to try.